Setting up a small business or startup is a lucrative thought, but not an easy process. While the great American Dream talks about becoming successful regardless of your social standing and background, it doesn’t explain how to find the money to go about doing so! The availability of micro-loans and small business loans has diminished if there is no form of collateral. In these situations, learning how to get a small business grant can be the lifeline an entrepreneur needs. Understanding how to get a small business grant is not a hard process. It requires an understanding of the programs that exist in each state to fund a growing project or business. The first step is to start researching and looking into the kind of grants that exist and the eligibility criteria needed to apply for them. For this, you will have to break down your business idea and put it in a particular category. You will have to make decisions about the amount of money needed for investment and how to disburse it over time. Note what sets your work apart. There are thousands of people reaching out for a grant each year, simply because it either requires no repayment (unlike online loans) or a low interest rate. With proper research and knowledge, you can stand out of the crowd. During your research, remember you want to be aiming to get a grant rather than a small business loan, as there are many online loan options floating around. Grants are often critical of the people that apply, since far too many take advantage and walk off with the money. In essence, it is wasted, as there is no visible contribution made to the economy in terms of employment or taxes. As a result, they tend to not advertise themselves freely. Finding a legitimate source of grants starts with checking federal options. The website grants.gov lists the government grants currently available. Local agencies that support community building, economic support and small business development do not publicize grants but do put have the mechanism to provide them. Keep looking for the best possible option that can accommodate your needs and has a somewhat relaxed eligibility criterion. Asking for a grant requires a proposal that explains the use of the money. Writing a thorough and easy to understand business proposal increases the chances of getting a small business grant. That said, the proposal must be detailed. It has to outline the nature of the business, the plan to establish it, proof of work undertaken, the milestones set by the owner and the contributions being made to the society. If you don’t have any experience with this, ask for help or get it done by a professional. A heartfelt and sincere proposal looks wonderful, but does not stack up against a professional plan of action. Other than these steps, learning how to get a small business grant requires a little more knowledge. These are simple tricks that can make sure that your efforts are not wasted. The application process for grants is free of cost. Grants requiring a large fee to enter their program should be thoroughly investigated. There is no federal agency known as the Federal Grants Commission. Do not accept any grant or cash advance without proper verification. Always submit paperwork and details before the deadline. This reflects well on your planning and coordination ability. Read each requirement and document closely. Do not miss out on the fine print, as this can damage your chances to getting the grant. Stay persistent and apply to as many grants as possible. Be ready to relocate if you are offered that option to get a grant. 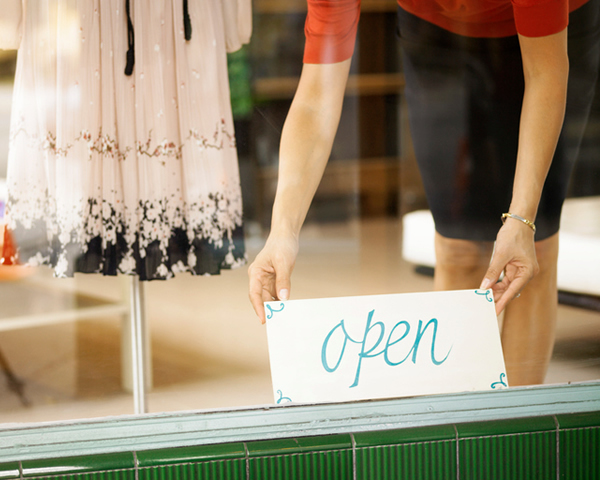 A small business grant is unlikely to present itself out of goodwill. The process of constant application and dedication is more than half the battle. Keep applying for all possible grants and you will be sure to strike gold sooner or later. If you cannot secure a grant but remain passionate about your small business idea, small business loans and online loans can be another option.